Aksoy, S. and A. Tenik. 2002. The “four principles of bioethics” as found in the 13th century Muslim scholar Malwana’s teachings. BMC Medical Ethics, 3(4): Available at http://www.biomedcentral.com/1472-6939/3/4. Downloaded on 24 May 2004. Health Research Council of New Zealand. 2002. Guidelines on ethics in health research, available at http://www.hrc.govt.nz/assets/pdfs/. Downloaded 5 May 2008. Health Research Council of New Zealand. 2008. Guidelines for researchers on health research involving Maori. Available at http://www.hrc.govt.nz/assets/pdfs/guideresmaori.pdf. Downloaded 5 May 2008. Sporle, A. and J. Koea. 2004. 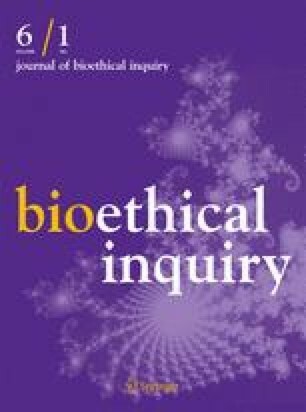 Maori responsiveness in health and medical research: clarifying the roles of researcher and institution. New Zealand Medical Journal, 117(1199): Available online http://www.nzma.org.nz/journal/117-1199/998/. Accessed 14 Nov 2005.